Luke Briscoe is a finalist FOR THE IDX Pathways and Employment AWARD. Luke Briscoe is a proud Kuku-Yalanji man from Far North Queensland. Luke has experience in the creative industries, digital communication, project management, community and cultural development. Luke founded the Indigenous owned and operated business INDIGI LAB to create innovative projects for social and environmental change through digital culture. 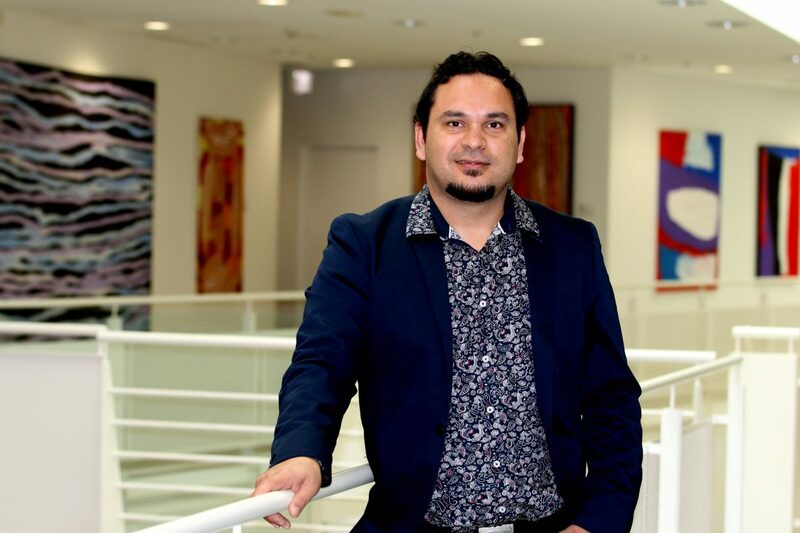 Luke’s goal is to establish national Indigenous ethical guidelines in science and digital technology to support a better understanding, value and respect for Indigenous knowledge in these fields. We asked Luke a few questions about his work and what he is currently working on with INDIGI LAB. I get to innovate and think creatively. I get to pass on my culture and knowledge to the next generation. I’m creating employment opportunities that have never existed before. My company is built from a long Indigenous legacy of innovation. I lot of ideas are taken so you always have to be one step ahead of the game and sometimes that can be real challenging and rewarding at the same time. I started INDIGI LAB about two years ago with the intention on just really writing articles and creating media content but now INDIGI LAB has evolved into much more than that. I find inspiration from going back to my homelands and being out in the bush. I’m a real thinker so even looking out to sea and up at the stars may inspire me with think outside the box. I don’t know about embracing technology I would rather say that we as Indigenous people need to be at the forefront of creating our own technologies just as we did thousands of years ago. I think Indigenous people naturally embrace technology but because technology is driven by big business Indigenous people can’t afford the latest devices. INDIGI LAB is launching a global Indigenous lead sustainable action network ‘The STREAMS Network’ which aims bring Indigenous communities, environmental groups, the business sector and governments work together to create sustainable business projects, unite globally and share our successes.